Stainless steel cut wire shot is being utilized in an expanding number of critical applications where ferrous tainting in blasting hardened steel, titanium, aluminum, or other non-ferrous work items could be unsafe. It is likewise utilized in peening these metals (hardened steel, titanium, metal or aluminum) in work protests that are liable to push consumption splitting. Shots are delivered from different evaluations of treated steel type 302/304, type 316, type 430. It creates a brilliant surface, keeps up its shape longer at that point cast abrasives what’s more, it creates a residue free surface. Hardened Steel Cut Wire is accessible as cut or molded and with different synthetic sytheses. 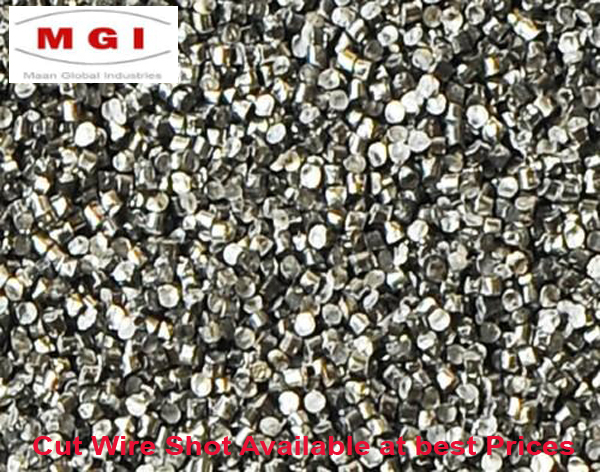 The monetary case for utilizing pure cut wire shot in peening and blast cleaning activities is very simple to make: cut wire does not crack or separate amid use since it is a strong piece.Stainless Steel Cut Wire is made by cutting Stainless steel wire into pellets, the length equivalent to the distance across of the wire. Looking for Stainless Steel Cut Wire Shot in India Call or Email us.